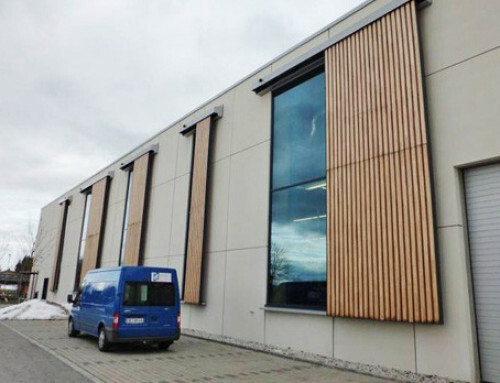 Two simple exterior doors made of steel and with normal dimensions caused the responsible persons quite a headache. 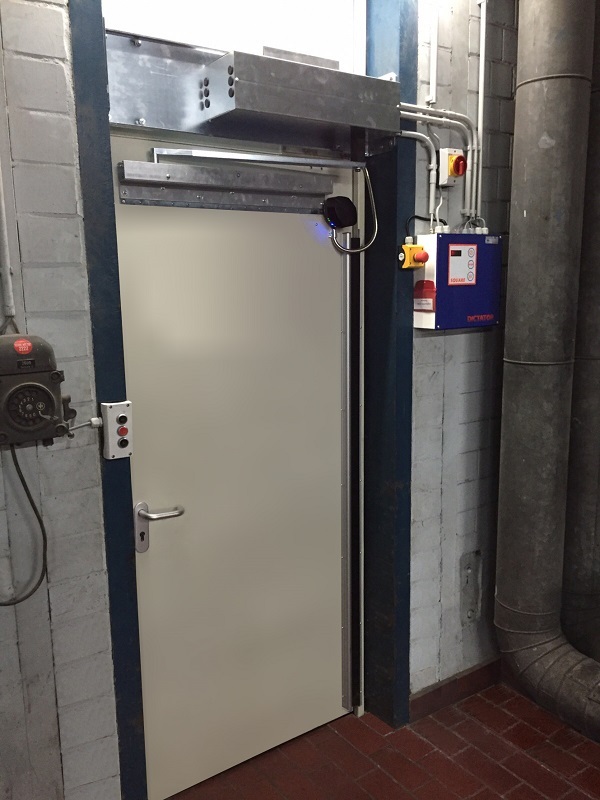 Due to the high negative pressure in the building it was nearly impossible to hold the doors during opening, and under unfavourable conditions the overhead door closer had no chance to properly close the doors. This also left its mark on the doors because they are quite frequently used. 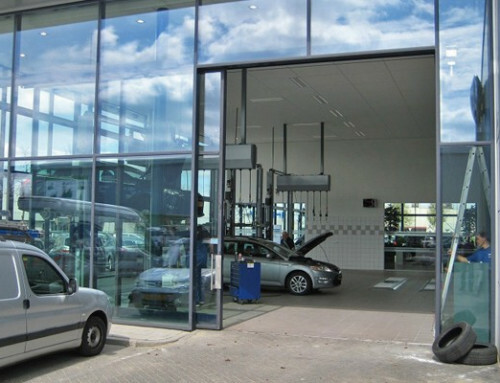 Therefore both doors were replaced and equipped with a DICTATOR hinged door operator DICTAMAT 310-21. 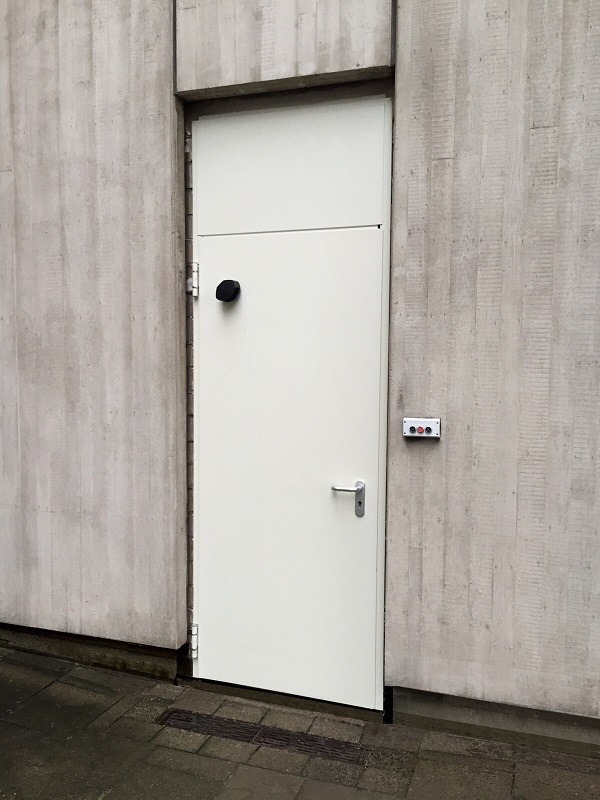 A completely normal, inconspicuous door: Difficult to imagine that due to the negative pressure in the building it was hardly controllable – until it was equipped with a DICTAMAT 310-21. 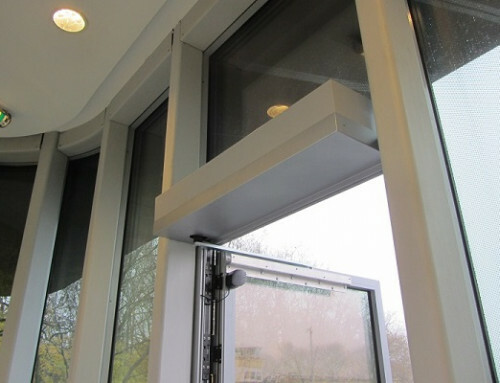 The right side of the door is additionally secured by a finger guard blind, as this edge is beyond the detection range of the sensor. 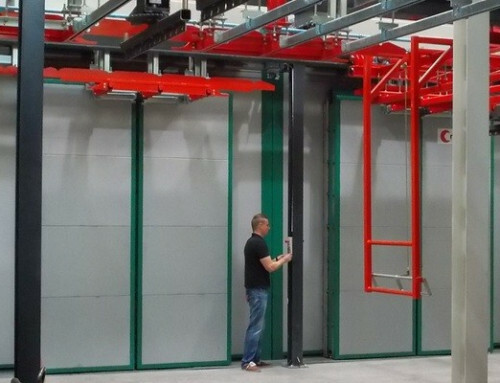 Safety sensors that supervise the complete door range detect obstacles and a finger guard blind on the secondary closing edge. An electromagnetic clutch ensures – also in case of a power cut while the door is moving – that the door stops immediately upon detecting an obstacle. While closing, it will subsequently reverse at once. DICTATOR elaborated the solution and mounted it to make sure the problem was perfectly solved. 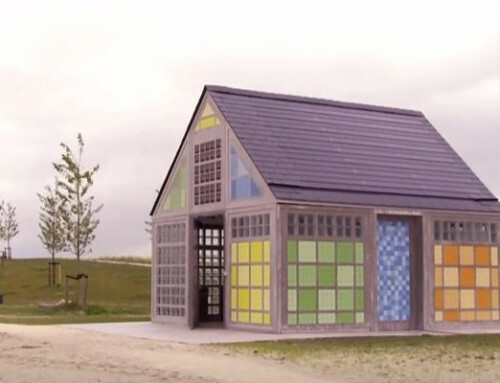 In the video, while demonstrating the safety device, you clearly can see the high suction effect in the building.